Charleston Roofing Contractor: Why Choose Elite Roofing West Virginia? Why Choose Elite Roofing In Charleston? We need to come clean; we aren’t satisfied with the title of today’s post. It’s okay — don’t get us wrong, but our issue with it is because it could be more inclusive. Put another way, it commits the lie of omission; we are not just a Charleston roofer. We are West Virginia’s #1 roofing company! We offer free estimates, a satisfaction guarantee, free inspections, insurance claims assistance, a refer-a-friend program, without forgetting to mention that we are CertainTeed Select ShingleMaster Certified. That’s a title that puts among the, well, elite, as we are confirmed to be a top 1% roofing company in the entire country! We won’t be too hard on ourselves though, seeing as how we wouldn’t be able to put every West Virginia community we serve in today’s blog title. If we were, it would be something like, “Why Choose Elite Roofing In Charleston, Barboursville, Cross Lanes, Elkview, Huntington, Hurricane, Nitro, Saint Albans, Teays Valley, Logan, Dunbar, Beckley, Belle…and the list goes on. Suffice it to say, we are West Virginia’s premier roofing contractor with a vast service area. If you are looking for a roofing company in West Virginia that you can trust, look no further than Elite Roofing. Why? Well, that’s what this entire blog is about, so you’ll have to keep reading to find out the details! While it’s free for you, we spare no expense when it comes to the roofing inspections we provide. We’ll always send two roofers out for your inspection so that one can talk to you while the other actually inspects. We carefully document what we find, using pictures and chalk to demonstrate our findings. 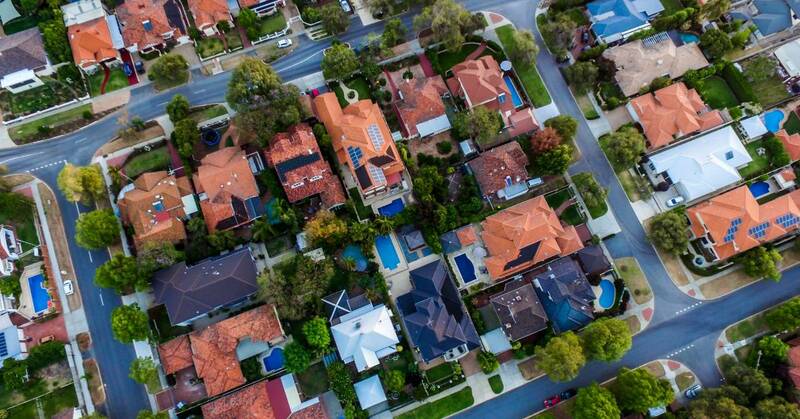 We also use iPads and drone technology for certain inspections (most of the time, in fact), so that you can see your roof with an eagle-eye view. After the inspection is done, we’ll give you the full documentation in terms of what our recommendations are. You’ll also get a full detailed presentation folder that clearly lays out a full estimate on the cost of the potential roofing project. Keep in mind, we also provide on-site quotes at the time of the inspection so that you can get the full estimate in real-time. Of course, we’ll do our best to provide you with numerous options so that you can be empowered to make an informed decision based on your budget and specific roofing needs. All in all, you’ll be hard-pressed to find a roofing company that offers a more comprehensive roofing inspection, let alone one this robust at no charge whatsoever! Our West Virginia roofers go above and beyond expectations in a wide range of ways, but perhaps one of the most significant ways is that we offer individualized claim filing assistance. If you know, you know — if you’ve ever experienced extensive roof damage due to extreme weather, you probably have some idea regarding how difficult of an experience filing claims can be. We don’t think you need any added stress after experiencing something like that, so we’ll help you understand your policy so that you can get as much out of your claim as possible. We’ve helped hundreds of folks make sure they get their due, making sure they receive comprehensive coverage for their roof and their personal belongings. We are happy to walk through the claim-filing process with you as well! We have an outstanding reputation across review platforms. While some other roofing contractors might try to distract you from negative reviews by pointing you to little-used platforms, check us out on Facebook, Google, Rateabiz, HomeAdvisor, and more! Check them out for yourself! We mentioned that having this certification means we are able to count ourselves among the top 1% of all roofing companies across the nation. We are “ShingleMasters” who can offer the SureStart Plus 3-Star and 4-Star Cover Roof Warranty Extensions for homeowners in West Virginia, so be sure to ask us about that when you get your free roof inspection. Moreover, ShingleMaster roofing contractors are able to offer superior warranties, which is something pretty much everyone should be a fan of! Being a ShingleMaster also means we’ve been vetted and found competent in every aspect, from materials used to workmanship and beyond. When it comes to something as important as a new roof installation (something you’ll want to last for decades), that matters. We have superior industry knowledge, experience, and a true dedication to getting the job done in an efficient amount of time. Get Your Free Roof Inspection In West Virginia! We hope you’ve enjoyed today’s blog, if for no other reason than you realize how much we care about our customers in terms of both process and outcome. For a great looking, long-lasting, affordable roof, give Elite Roofing a call to schedule your free roof inspection. Or fill out this form if you have any questions!